FALLING metal prices on international markets, coupled with local operational challenges have jolted small-scale gold miners into drawing up ambitious plans designed to ensure survival. The plans, drawn up by the Gold Miners Association, are aimed at reducing the cost of processing ores, trim the distances miners move ores to milling centres run by private operators and provide equipment for hire at lower rates than market levels. More importantly, the plans seek to guarantee gold miners more income to be realised from two processes, first at the mill and secondly through cyanidation. 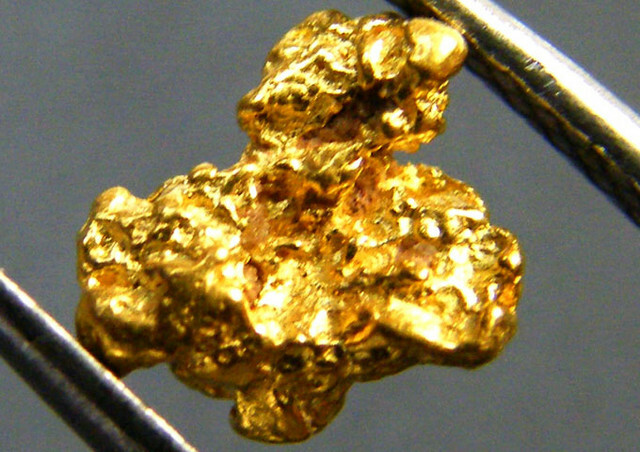 Gold cyanidation or the cyanide process is a metallurgical technique for extracting gold from ore by converting the gold to a water-soluble coordination complex. Currently miners only realise only about 40 percent of gold at the primary processing of ore at the mill while the milling plant operator recovers the rest through cyanidation. This is about to change as the Gold Miners Association has put into motion plans to set up milling centres for its members throughout the country. Setting up association-run milling centres will ensure that miners realise more than the regular 40 percent they get at the mill as they will receive a percentage of the gold realised at the cyanide process. To this end, the association has so far set up two gold milling centres, in Mberengwa and Esigodini, and will soon set up a third in Zhombe. Gold Miners Association head of the technical division Mr Davison Svuure said setting up milling centres countrywide would ensure better returns for small scale miners. “Using association-run milling centres will provide miners with extra income as they receive a prescribed percentage from the cyanide process over and above what they realise at the mill,” said Mr Svuure. Realising that access to equipment and proximity of milling centres is a challenge for small scale gold miners, the association is also sourcing for equipment to be accessed by members at nominal fees. “Plans are afoot to source for equipment such as compressors which will be hired out to miners. We will also provide the miners with accessories and other technical stuff required for gold mining and processing. We will then deduct the cost from their returns. This is a good initiative for the miners,” said Mr Svuure. These initiatives will be operated through the association’s corporate arm under a company known as the Gold Miners Private Limited, according to the association’s chief executive officer Mr Irvin Chinyenze. Mr Chinyenze said costs of milling ore at private centres and a myriad of taxes threaten the miners’ meager earnings hence the new initiatives. “As an association we have gold mining claims registered in our name where we intend to set up the milling centres. So the milling centres are there to generate income for the association and will benefit the members because they have a prescribed percentage they will retain from cyanidation. Therefore the miner derives more than they would ordinarily do by going to any other milling centre,” said Mr Chinyenze. He said the association is financially constrained and could have set up more centres for its members. “We are hamstrung by lack of funds. The two centres were set up in the last three months. Setting up a milling centre requires about $40 000,” said Mr Chinyenze. Prices of gold have gone down to about $33 per gram but local miners realises less than that if one factors in the one percent royalties which is deducted at point of sale. Prices retreat to as low as $30 per gram. “It’s a serious challenge. That is why we are lobbying the authorities to relook the tax regime because over and above the royalties we have to pay income tax, PAYE and all other related costs. The overheads are quite high,” he said.